1. Advertising presentation. Super-large, high-definition splicing screen can display all shopping mall products perfectly, no matter in which area, space, angle can well attract consumer attention, convenient for users'shopping needs. 2. Information sharing. The splicing screen system is a large-screen splicing display terminal which integrates real-time information collection, transmission, processing and display. It has the characteristics of large amount of information, centralized processing and real-time display. Any monitoring information is transmitted to the large screen terminal through the front-end camera system and centralized display and decentralized control. 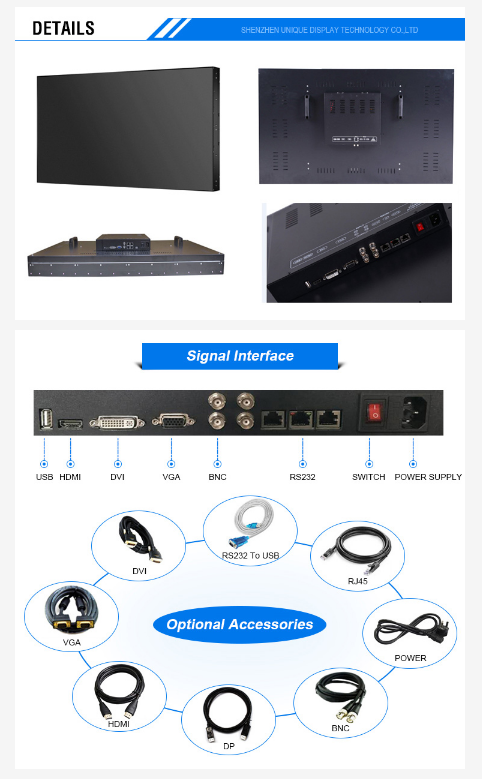 The information content of image monitoring system, data transmission system, dispatch management system, video conferencing system and other subsystems will be centralized into the control center and required to be displayed in the designated area of splicing large screen. 3. Video conference. The splicing screen system can effectively assist the dispatching and commanding work by opening the function of video conferencing and consultation. The intuitive display mode of mosaic large screen display system avoids the shortcomings of no image mode of teleconference which is not intuitive enough, and can also deal with emergencies effectively. Moreover, the multi-level command dispatch of video conferencing visualization in different locations can provide commanders at all levels with abundant real-time interaction of voice, video and data, and help commanders make quick decisions, real-time dispatch and emergency disposal. 4. Real-time monitoring of information and data. The splicing screen system can realize 24-hour uninterrupted monitoring. The control program of dispatching management system for various data is the focus of the whole dispatching work. The large screen display system needs 7 x 24 hours to work sustainably. It can provide real-time information and data for monitoring, command and management work at any time, and ultimately ensure the timeliness and control of the work. 5. Assistant decision-making. The splicing screen system can display all kinds of information collected and sorted out by the system and the analysis and calculation results of various models in the most concise and intuitive form according to the needs of decision makers, so as to facilitate decision makers to quickly and accurately understand the current situation, analyze and judge the advantages and disadvantages of various scheduling schemes, and assist users to make better decisions. Compared with ordinary display screen, DID LCD splicing screen has higher brightness. It can reach more than 700 cd/m2. The DID LCD splicing screen has 3500:1. Using the color calibration technology specially developed by DID products, DID/LCD can achieve 80%-92% high color saturation. Besides the color calibration of static pictures, it can also calibrate the color of dynamic pictures, so as to ensure the accuracy and stability of picture output. PVA (Patterned Vertical Alignment) technology is called "image vertical adjustment technology". With this technology, the visual angle can reach double 180 degrees (horizontal and vertical). The ordinary LCD screen is designed for TV and PC display. It does not support continuous use day and night. The DID LCD screen is designed for monitoring center and display center. It supports continuous use in 7x24 hours. 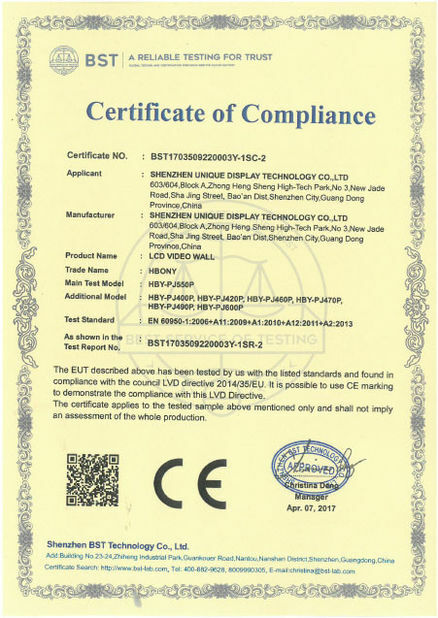 LCD is the representative of flat panel display equipment. It is a true flat panel display. It has no large curvature and distortion. DID products have the advantages of super large display area, thin thickness and light weight, which can be easily spliced and installed. The special LCD screen for splicing has excellent narrow edge design, so that the edge of the single chip is even less than 1 cm, so the small edge effect will not affect the overall display effect of the whole display screen. 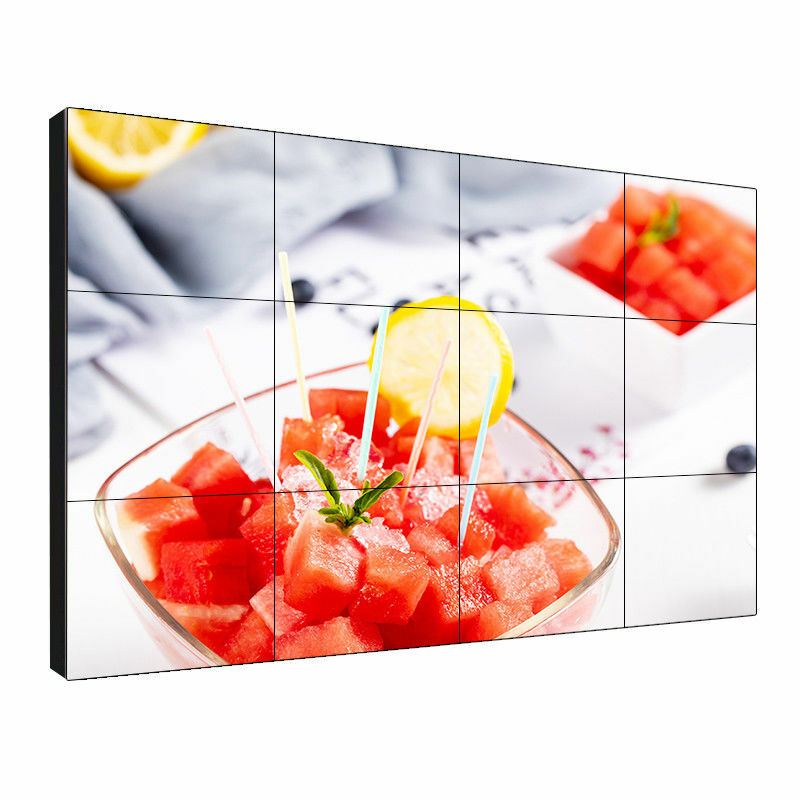 The 120 Hz double frequency liquid crystal display technology of DID products can effectively solve the tailing and blurring in the process of fast moving image, enhance the clarity and contrast of image, make the picture clearer, and make the human eye watch for a long time not easy to fatigue. The service life of ordinary LCD backlight is 10,000 to 30,000 hours, while that of DID/LCD LCD backlight can reach 50,000 to 100,000 hours. 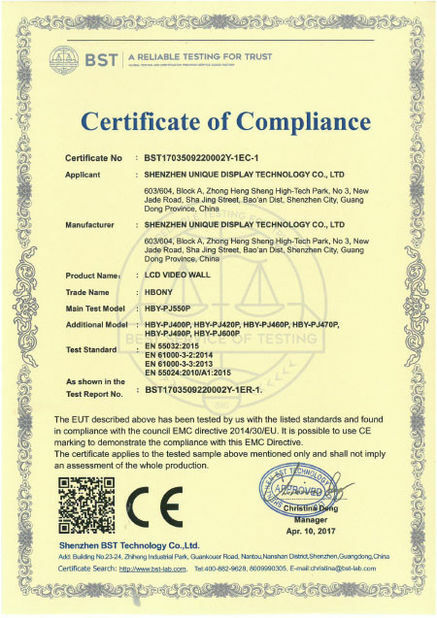 This ensures the consistency of brightness, contrast and chroma of each LCD panel used for splicing display screen after long-term use, and ensures that the service life of the display screen is not less than 60,000 hours.